As we have already seen, the sport of rugby moved quickly to suspend participation upon the outbreak of the First World War, with the RFU Committee recording their decision on 4th September 1914 that “Club and County fixtures arranged for this season be cancelled and that, all being well, they should be carried over to next season“. As we now know, there was to be no rugby played at Saracens until the 1919-20 season. This onset of hostilities was to have a huge impact on many Club members’ lives in these intervening years, as we are discovering. However, in strictly rugby terms, there is no doubt that for one particular member of the 1913-14 1st XV, centre-threequarter William John Irving, the suspension of play cost him the chance to captain Saracens the following season. He would not pull on a Saracens jersey again in the post-war era. Born in Carlisle in 1889, William’s father George was a Railway Guard and his grandfather Thomas had been a Railway Labourer. The family house in Princess Street that he shared with mother Jane & his sisters Elizabeth and Annie was no more than a clearance kick from the railway lines leading to Carlisle Station. But William was not to follow his family into the Cumbrian transportation sector and instead, like a number of other Saracens players we have uncovered, headed south to the capital, arriving in London in 1910 to secure work as a Clerk in the Civil Service, working at the Board of Trade. Boarding at his Aunt & Uncle’s house in Hewitt Avenue, Wood Green, William also appears to have immediately joined the Territorials upon his arrival in London, signing up with the 15th (County of London) Battalion, London Regiment – the Prince of Wales Own Civil Service Rifles – on 7th February 1910. His value to the local Saracens Rugby team is immediately apparent from his Service Record – though only 5’5″ tall, his medical inspection reveals William to be a man with a 38″ chest ‘with 4″ expansion‘ (!) whose Physical Development was classed as ‘Good – Category A III‘. 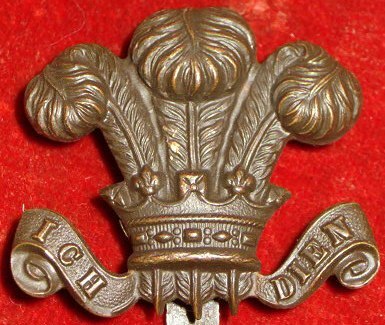 The Regimental motto “Ich Dien” (‘I Serve’) was to characterise William’s forthcoming military and rugby commitment. He attended summer Territorial training camps in Minster (1910), Dover (1911) and Abergavenny (1913) as part of his official 4 year sign-up. He obviously enjoyed the military life, as on 7th February 1914 he extended his commitment to the Regiment for a further 2 years. Meanwhile, William’s participation at Saracens Rugby Club seems to have completed his busy life. He is first recorded playing for the 1st XV in 1910-11 in the three-quarter line alongside TC Thomson, WA Dagger and future 1913-14 Club Captain Duncan McMillan. This was a tough season for the Saracens, who secured only 3 wins out of 20 matches that season, and were to post only 5 wins in each of the 2 following seasons. William and his Civil Service Rifles colleagues arrived in France to be deployed against the German Army on 17th March, 1915. We will follow his wartime experiences here in our next chapter. ← FL Pilley – Our North London Saracen from ‘ackney!